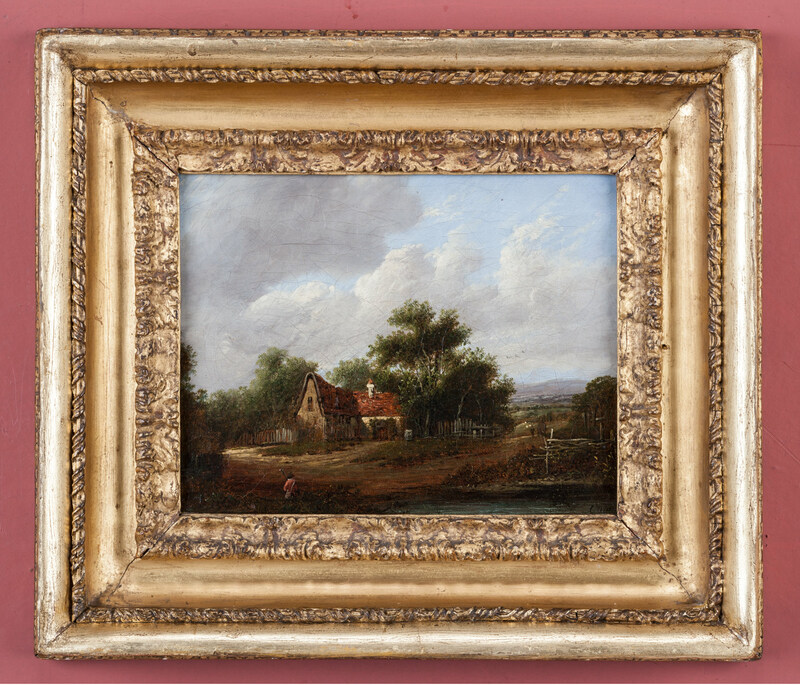 A typical country scene with a huntsman before a red-tiled cottage, painted in oil on canvas by Charles Greville Morris. 15 in x 13 in. s.s. 9 in x 7 in. The artist was a Manchester landscape painter, born in Lancashire in 1861; livingand working in St. Ives Cornwall from 1892. He had studied in Paris under Bollinger, Collin and Courtois. The artist exhibited from 1886 to 1894 at the Royal Academy and elsewhere - all of the works were landscapes.